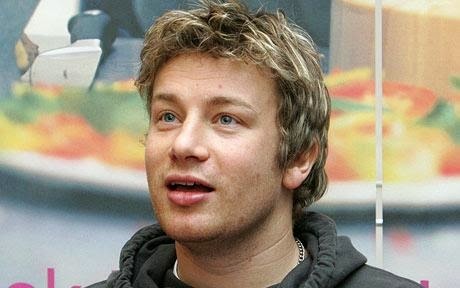 I LOVE Jamie Oliver. He is adorable. For a few years I've watched several of his tv cooking shows which featured the Moroccan dish Tagine. My favorite food in the world has always been Cajun jambalaya. I always wondered if this dish was the similar of to my much beloved jambalaya, with a different set of flavors. I finally made an "Oliver" tagine recipe yesterday and my instincts were correct. The tagine is the equivalent of jambalaya with a whole different continent/experience of new, exotic flavors. I used the recipe shown below. This entree was easy to make, which in my experience with television cooking shows is rare. You only need a bowl and pot: a simple bowl to marinate the chicken in the refrigerator. I didn't have a tagine or casserole pot as the recipe requests so I used a cast iron pot, which was a perfect substitution. The meal was quick to make. But purchasing a few of the more exotic ingredients in a small town place like the Palm Springs area took more time. The preserved lemons were the biggest challenge. After several visits to grocery store and a call to William Sonoma I finally found them in stock at Bristol Farms . My local Trader Joe's said they have been trying to stock it but they are sold out). When I saw Jamie make this he used portioned, cut lemons. The bottle that I bought I bought at Bristole was pureed/minced. I couldn't find fresh coriander. I've always heard that Coriander is the same thing as the more common (in California) Cilantro? The information on the internet was even more confusing. I substituted ground dried coriander instead of the fresh coriander stalks. If someone can educate me on this I would appreciate it. Is fresh cilantro the same thing as fresh coriander leaves? I'd never cooked or eaten (at least knowingly) fresh fennel. It is wonderful. Very mild. When it was raw, it smelled and looked like fresh anise (or licorice which I detest). When cooked, it was amazing and lovely. This and jambalaya are now my favorite dishes. Thanks for this recipe. I can't wait to try it. I have always made tagine in the slow cooker (easy) and with stewing lamb (expensive). The chicken thighs sound ideal and I love fennel. Bonus: I make my own preserved lemons; it's really easy. I avoid fresh coriander like the plague; to me it tastes exactly like cilantro which tastes exactly like Ivory Soap. Ugh! Harry…..thanks for commenting. I would love to try to make my own preserved lemons. Would you send the recipe? So the substation of bottled coriander was the right choice? Let us know if you have any refinements to this recipe after making this. It was my first attempt at making tagine (Jamie called for a whole chicken but I am not a an of poultry white meat--too dry)! The cast iron pot was perfect. Would love to get myself a tagine cooking dish someday. Thanks again for commenting! Let us know your experience with using this recipe, please. The only piece of equipment required is a large jar with a mouth that is large enough for the lemons to pass through. I use a quart-size Mason jar but a large pickle jar would work too. 2. To prepare the lemons, cut about 1/4 inch off the stem end of each. Cut the lemons as though you were going to cut them in half lengthwise but leave the bottom attached. Cut once more so that the lemon is now quartered but still attached at the base. 3. Pry the lemons open and sprinkle salt generously over the insides. 4. Pack the lemons in the jar, squishing them down firmly so that juice is extracted and begins to cover the lemon. Fill the jar with lemons continuing to squish them down as you go. Add more lemon juice, if necessary, to ensure that the lemons are completely covered. Add 2 Tbsp of salt. 5. Seal the jar and let it sit on the counter for two days. Turn the jar upside down for a second a few times each day. 6. Place jar in refrigerator for at least 3 weeks, until lemon rinds have softened, continuing to turn upside down occasionally. 7. To use, remove a lemon from the jar, rinse thoroughly to remove salt, discard any seeds and chop the lemon into a dice to add to your recipe. Note: Some cooks remove and discard the lemon flesh and chop only the preserved peel. I don't. I like to use it all.